Phase 1 (walkover) reptile surveys can be undertaken any time of the year during daylight hours. Phase 2 reptile population surveys are restricted by seasonality and can typically be done from March through to October. 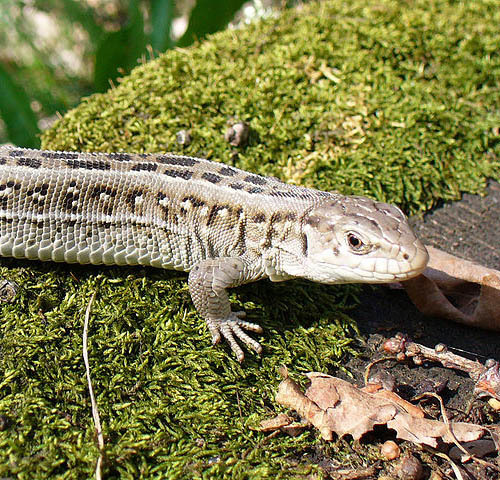 There are six species of native British reptile. Four of these are protected from deliberate killing, injury and sale by the Wildlife and Countryside Act 1981 (as amended). These are the adder (Vipera berus), slow worm (Anguis fragilis), common lizard (Zootoca vivipara) and grass snake (Natrix natrix); the ‘common reptiles’. Two more curious little creatures are considered much rarer. These two ‘rare reptiles’ are the sand lizard (Lacerta agilis) and the smooth snake (Coronella austriaca). They are protected by a European Directive (UK: Habitats Regulations 2010) that limits your ability even to disturb them, or their habitat. Breaking the law that protects these reptiles can lead to fines of up to £5000 per offence and prison sentences of up to 6 months can be handed out. Laws have been put in place to protect these species because over the course of the last decade, their numbers have been significantly reduced due to human activity removing their habitats. A sand lizard. 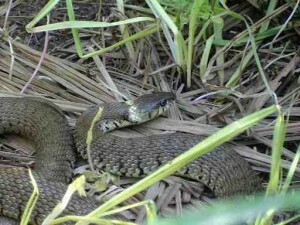 Very rare to find during a reptile survey in the UK. It is very rare indeed to find either the sand lizard or the smooth snake. This is because they do not have extensive ranges across the British Isles, being almost exclusively limited to areas around the south coast. This is because they need specific habitat types. These include sandy dunes and certain types of heathland. That said, if you find them, you will almost certainly require a European protected species licence (EPSL) to move them. We can help with this. We have a great deal of experience with EPSL licences. 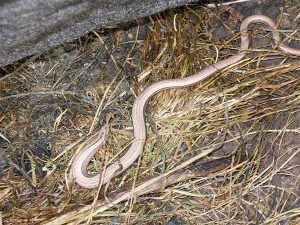 Finding any of the other four species of reptile, such as the slow worm is much less of a headache as far as your planning application is concerned. 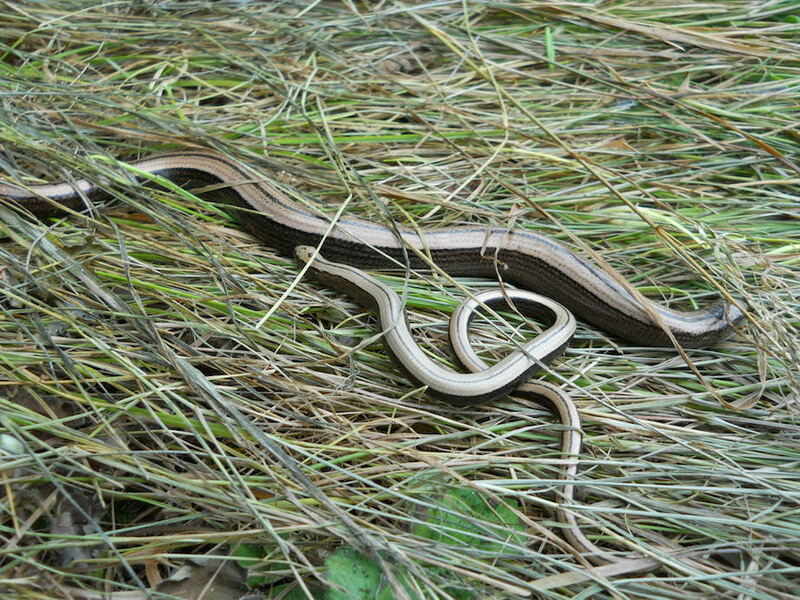 Scoping level surveys for reptiles can be done at any time of the year, because they mainly look for habitat quality. A scoping reptile survey is fairly straight forward and simply involves one of our ecologists visiting your site and checking if your development site is a suitable habitat for reptiles or not. To do this, they will identify habitats that are of particular ecological importance and check the habitat to determine how suitable it would be for supporting reptiles. The phase 1 survey will also include a desk study which includes checking with local record centres for any protected species recorded close to the site. Sometimes, your local planning authority will ask you for a phase 2 reptile survey, which can only be done at certain times of the year. These months depend on the reptiles’ activity level, which is determined by the climate/weather. Generally the phase 2 reptile surveys involve placing down ‘reptile felts’ (under which they take shelter from predators and use to help control their temperature) in a grid-like pattern throughout your site, logging their locations using a GPOS handheld device, and re-visiting those felts 7-8 times to record and photograph anything found. If common reptiles are found at your site, we can help you with this and we can satisfy your local planning authority by producing a method statement. This deals with how your reptiles will be contained or excluded from your site during the time when they are most at risk. For example, during demolition and construction. Often, this will be something as simple as having an ecologist conduct hand searches of any good quality refugia (habitat) and physically moving any reptiles found to a pre-identified site, before your site workers clear the area. If you have any more questions about our reptile surveys, please contact us to discuss them. We’d be happy to help. When reptiles are found on a site it is necessary to put measures in place to minimise the risk of the development injuring or killing any of the reptiles. This is called mitigation. Ideally, any reptile habitats found on the site would be left in place by changing the plans to ensure that land used for reptiles is not developed on or by changing the timesframes that certain work is done in order to avoid disturbing them. When this is not possible, reptiles can be moved to a specially prepared suitable alternative habitat. Alternative habits for reptiles would be as close to the development area as possible, a suitable size and quality as the original habitat, have the same features as the original habitat and should be safe from future development. Who Can do Reptile Surveys and What Will it Cost? Reptile surveys need to be carried out by a qualified and licensed ecologist. We have a number of experienced and licensed reptile surveyors here at Arbtech. As far as cost goes, prices for a walkover survey start from just £399. Phase 2 surveys are more expensive due to the extra time required to carry out multiple visits to the site. They typically start from £1899. 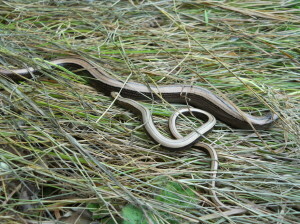 A slow worm near some reptile felt during a survey in Manchester. Getting started is easy. Give us a call or fill in the form above. We’ll gather some general information about the address of the property / development and then we’ll provide you with a free quote. This quote will explain everything you need to know about your reptile survey, with no jargon or hard to follow lingo. If you’re happy with the quote, you send us a booking form and we arrange a date to get to work. It’s that simple! Why use Arbtech for Your Reptile Survey? Choosing the right ecological consultants is important so that your project doesn’t suffer any unnecessary delays. At Arbtech, we have been providing a wide range of surveys all over the UK for over 10 years now. 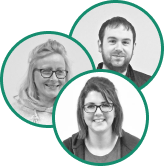 All of our consultants are highly trained – educated to degree level or equivalent and equipped with all necessary licences and training to carry out your survey. They also know how important it is to work fast and efficiently in order to save you time and money.